I don’t think it’s possible to be fully prepared for becoming a mom. When I delivered my son, Jacob, 10 weeks early, I felt 10 times as unprepared for the transition into motherhood. I quickly realized I could not hold him after he was born, for he was too underdeveloped and sick. I could not look down and stare into his beautiful eyes, since they were covered. But I also realized I wouldn’t let that stop me from being his mom and loving him as much as I could. Since I couldn’t bring my premature baby boy home and rock him in my arms all day, here’s how I bonded with the new love of my life. Embrace your new full-time job. Much of my maternity leave was spent at the hospital, which was obviously less than ideal. But I made caring for my son as best I could in the NICU my new full-time job. It quickly became the hardest, but most rewarding job I ever had -- even without the pay. I just wanted Jacob to know I was there, and was certain that he did. Just because we weren’t together in our home didn’t mean I should act differently as his mom than I planned to. Participate in newborn duties (and doodies!) While Jacob was in the NICU, I did whatever I could to care for him, just as I would if we were home. When I could nurse, I nursed. If he had a dirty diaper, I helped changed it. I wanted to care for my son as much as I could, and not feeling completely helpless helped me. It’s important for moms of preemies to get comfortable with their baby immediately, and try not to depend on the nurses for the things you will need to do once the baby comes home. Hold your baby when possible. Any chance I could hold and touch Jacob, I did. The first time I held him was difficult, because he was hooked up to so many wires. After a while, I barely noticed. I remembered learning during my pregnancy that skin to skin contact is one of the first and best things to do with your newborn to not only bond, but to boost their health and growth. It was those moments that nobody could take away. Project your beautiful voice. While pregnant, my husband and I did what most parents-to-be do, and talked and sang to our growing baby. At the hospital, we continued to talk and sing to our tiny love, and knew he recognized the voices he had heard for months. We brought books to read to Jacob, awaiting the day we could snuggle at home with books in hand together. My emotions were very raw after the birth of my son. I was very scared and upset -- often with myself. 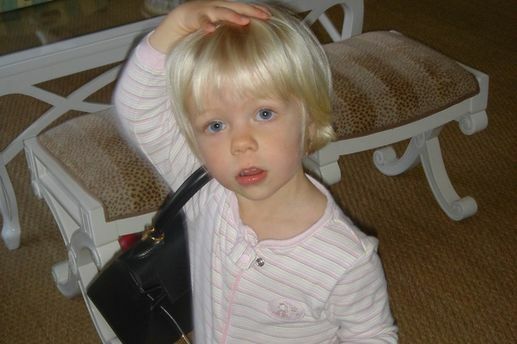 I felt inferior, as if my role as a mom wasn’t up to par with other moms. I felt responsible, but also determined to do everything I could to help my premature baby strive. I felt as though we can work together as a team to go home. Letting myself feel and talk to others about those feelings -- including other moms of preemies in the NICU -- allowed me to be the best mother I could be for my son. Now, years later, my son is thriving and I look back on those early days as a challenge well worthwhile. 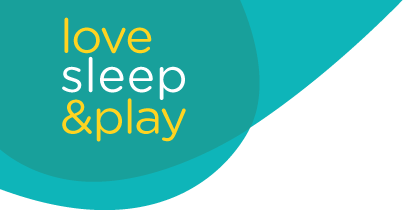 Love Sleep Play is dedicated to providing high quality content for expecting parents. Topics include pregnancy, child birth, parenting and baby development.